CLEVELAND – Marketing materials from the I-X Center are about to receive a local (and environmentally friendly) touch. Jakprints, Inc., a custom printing company based in Cleveland’s MidTown neighborhood, and the I-X Center, the city’s largest convention and exhibition center, have entered into an agreement in which Jakprints will serve as the official offset and direct mail printer for the I-X Center, with additional incentives for exhibitors. For the I-X Center, the agreement will provide a local, high-quality partner to meet its print and direct mail marketing needs. 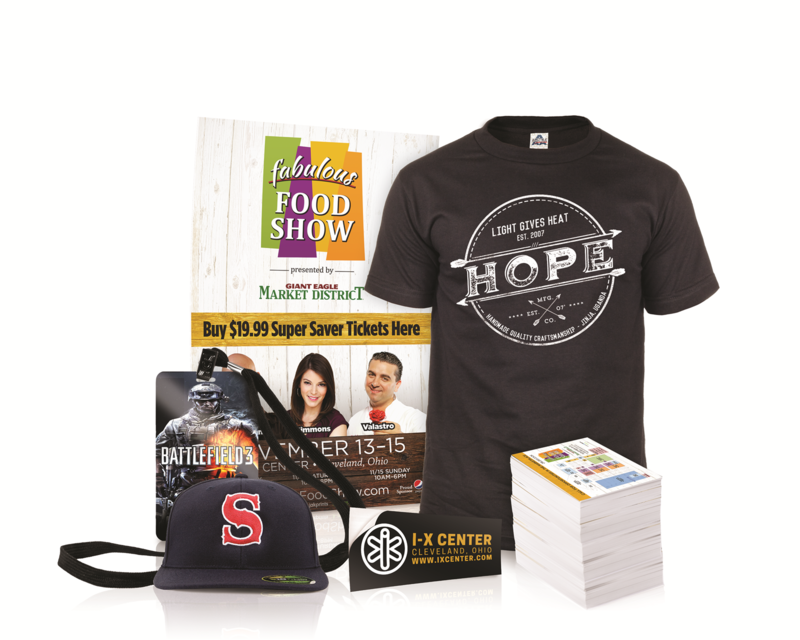 I-X exhibitors interested in receiving discounts off all printed products and free delivery offered through this partnership are invited to visit us at jak.ink/ix, or contact Jakprints’ New Business Development Representative Dan Byler at: dbyler@jakprints.com. If you’d prefer to learn more about these incentives in person, we invite you to visit during our open house sessions Oct. 20-22 at our Cleveland office at 3133 Chester Ave. Since 1999, Jakprints has served more than 100,000 customers by making the highest quality custom printing available to everyday people, including artists, small businesses and musicians across the United States. The independently owned and operated company specializes in custom, full-color, offset printing, and apparel printing and sticker production.